Give your pet pooch a luxuriously soft place to relax after a hard day's playing with our fantastic range of snuggly range of dog beds. Ideal for when it's time to sleep, rest or just stretch around on those lazy afternoons. 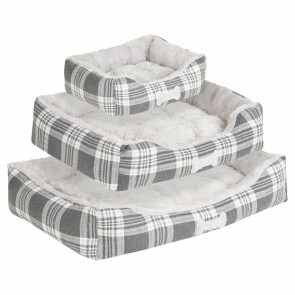 We have a choice of sizes and styles, complete with squishy cushions and plush fabrics. There are beds for each and every room as well as beds with sofa protectors for when they want to snuggle up to you on the couch.